At a time of war, soldiers are not always the only casualties. On September 3rd, 1939, Fred knew he would have no choice but to go to France and fight. However, when he found himself among the thousands of men stranded after the Dunkirk evacuation, he had no idea when he would see his wife Leah and his two children again. Leah is left trying to raise her two children by herself but, even she can’t stop the bombs from falling on her street. M J Dees’ fourth novel and his first historical novel, Fred and Leah, is based on a real life love story of two people whose lives were irrevocably altered by war. 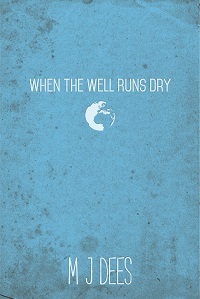 Large print version available in the US, UK, Germany, France, Spain, Italy and Japan. Twins growing up together. One incredibly lucky, the other astonishingly unlucky. One content, the other constantly striving for more. But will either of them manage to overcome the obstacles which life throws at them? 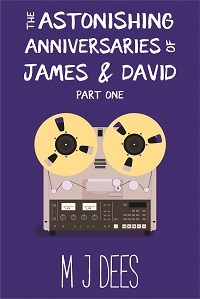 The Astonishing Anniversaries of James and David is as much a nostalgic romp through 70s, 80s and 90s England as it is a shocking and occasionally tragic comedy. 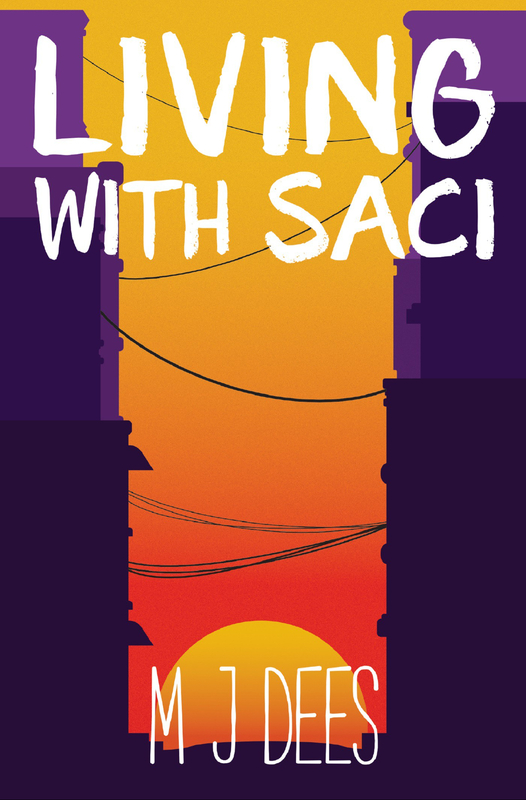 Living with Saci is set in the sprawling metropolis of São Paulo, Brazil. It tells the story of Teresa da Silva, an overweight, depressed, drink dependent, and her struggles in the city. Estranged from her daughter, who lives with the ex-husband in England, life seems to constantly deal Teresa a bad hand. She begins to wonder whether the mischievous character from Brazilian folklore, Saci, might have something to do with it. Events seem to be taking a turn for the positive when she meets Felipe, who asks her to marry him. But when he disappears, Teresa finds that she is the object of suspicion.